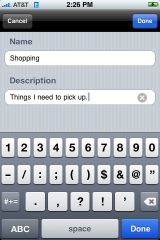 If you are thinking that these two apps sound familiar…you are right! 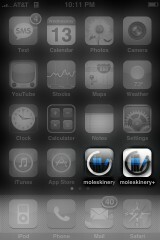 Many of you already know that moleskine was one of my favorite jailbreak apps. Well, it seems that it has made it’s way to the App Store in the form of two apps!! 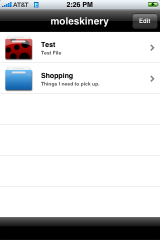 They are actually very similar to the jailbreak version of the app. Below is a break-down of both applications; Moleskinery and Moleskinery+. 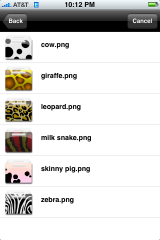 Moleskinery allows you to create Folders like normal and then create folders and notes inside each folder. 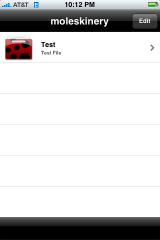 If you tap on the folder icon, you are still able to change the icon for the folder. 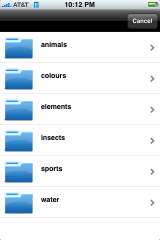 You can choose from Animal, Colours, Elements, Insects, Sports and Water icons for both folders and notes. If you tap on a note icon, you are also still able to email a note. Moleskinery+ does all the same things as Moleskinery but, also adds the ability to attach a picture or voice recording to a note. 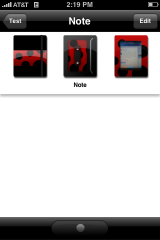 Which is really cool….one of my favorite features of moleskine. 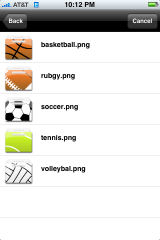 You can also change the icon for both the picture and audio recording. Neither application has the accelerometer support that we saw with moleskine however, I wasn’t a huge fan of the accelerometer features anyway. 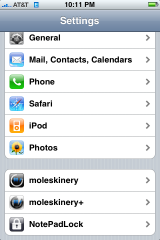 You will also find all the Settings for both Moleskinery and Moleskinery+ in your stock Settings application. 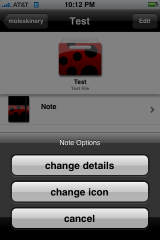 When you go into your stock Settings you will see a new option for the Moleskinery application. 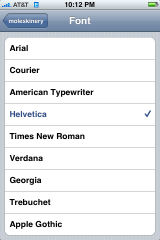 In the Settings of both applications, you have the ablity to turn on/off Auto-Capitalization, Auto-Correction, adjust the Font Size, choose a Font and the ability to turn on/off Bold Font. Overall, I love these applications. Both work great, are easy to use and are perfect for taking organized notes! 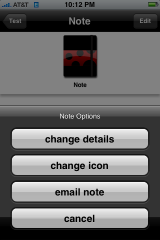 Click here to download Moleskinery via the App Store. Click here to download Moleskinery+ via the App Store. 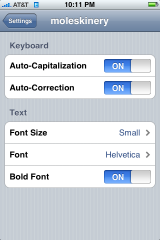 Isn’t it possible to turn off Auto-correction otherwise in firmware 2.0? I’ve been looking for that! Yes! 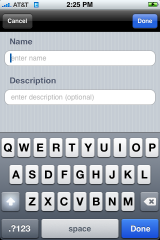 get KB Autocorrect from installer then reboot…. Then use it. I have, and the look of the app is horrible. I’m happy to pay to have an app that looks good and where your notes are actually readable. 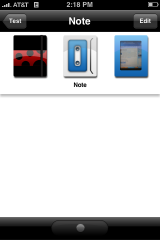 Have you seen the note area in YouNote … all I do is scroll my life away on that program. It’s a GREAT idea, but NOT a great implementation. 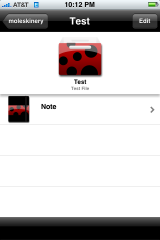 I used moleskine on 1.1.4, does someone know, if I can use my old data with the new versions?